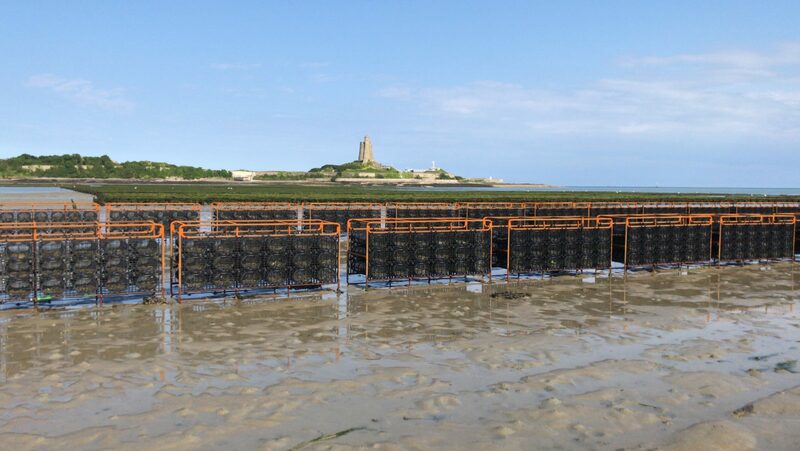 The Saint-Vaast la Hougue oyster basin, the oldest in Normandy, is located on the on the east coast of the Cotentin. The two bays are protected by an island (Tatihou) and a peninsula (La Hougue) crowned by two majestic towers built by Vauban, minister of Louis XIV. In 2008 the 2 towers were registered as UNESCO world heritage monuments. The La Coulège farms are surrounded by stone walls, a reminder of their historical background when oysters were farmed traditionally in flat beds. 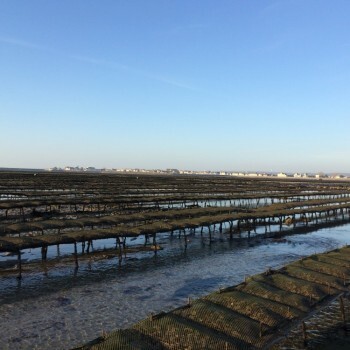 With this method, the oysters are simply spread over the sea bed, the walls being built to prevent them from being dispersed across the bay and to divide areas owned by different breeders. 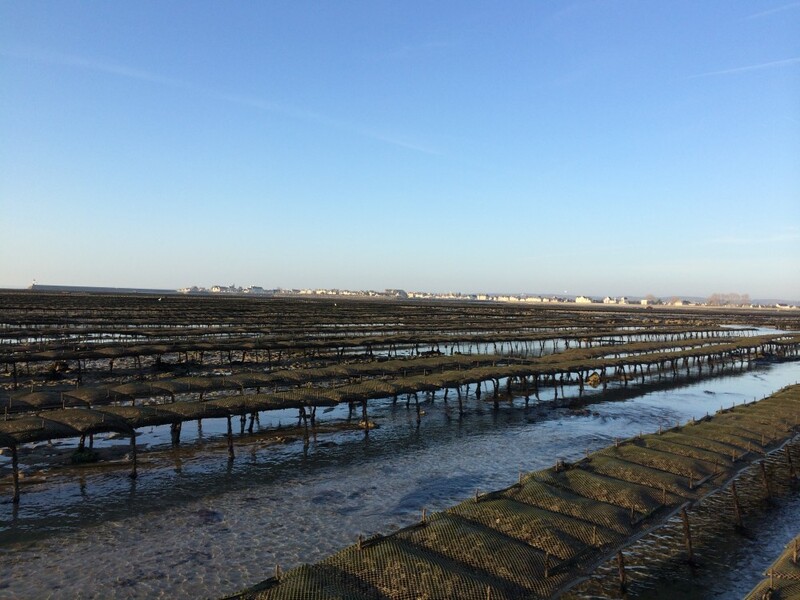 The richness and freshness of the water brought by the strong sea currents from the ocean, the proximity of the Gulf Stream, the warm and rich water, have given the Saint-Vaast oyster its outstanding quality with smooth taste that has made its reputation over the years.